Health and Social Care Partnerships (HSCPs) is a partner of Social Justice Partnerships, a Community Interest Company that establishes compacts of Local Public Sector Service Providers such as Local Government Bodies and Local Clinical Commissioning Groups (“Providers”); Local Third Sector Organisations, Individuals, and Local Businesses (“Facilitators”); and Local Residents or User organisations (“Users”) – together hereafter referred to as “Partners”. In pursuit of the Purpose, HSCPs facilitates a mutual understanding of Partner expectations from these relationships, to agree mechanisms to enable Focus, effectively and efficiently implement the contracts underpining these relationships and to prevent or resolve any disputes arising therefrom, whereever possible, without or before the need form formal mechansims such as disciplinary and tribunal/cour proceedings. The purpose of HSCPs is to understand and strengthen the relationship between local Partners, for example, by facilitating the prevention and resolution of disputes between Partners; minimising the compliance and regultory burden; and enabling Partners to focus on the Provision of Care (“Purpose”). Citizens have a right to the comparative care quality data, information and knowledge they need to assess the quality of health and social care that is available to them. 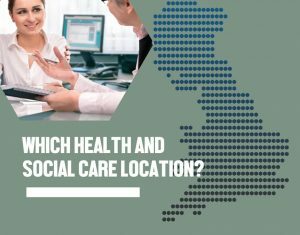 This series of publication “Which Health and Social Care location?” Rankings of Regulated Health and Social Care locations in England” responds to that need. This publication highlights Dental Hospital, Thomas Linacre Centre and Walkergate Park as the only 3 NHS locations that were consistently rated outstanding overall. Overall, the 34 NHS locations (9% of all locations) accounted for 79% of the overall outstanding ratings throughout England, averaging 44 % outstanding ratings per location. 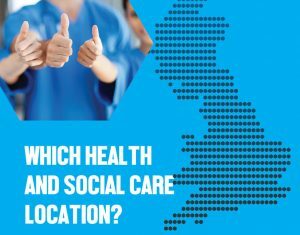 Overall, 30 NHS locations accounted for 67% of all inadequate ratings throughout England, 47 % of all assessments of these 30 NHS location being rated as inadequate. The 30 inadequate NHS locations (from most to least inadequate) are also listed and ranked in order of inadequacy. 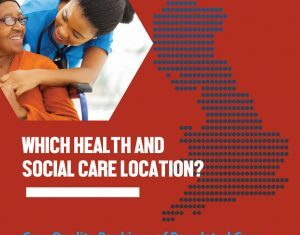 This publication lists all 160 social care locations that were consistently rated outstanding across all the CQC key questions in England. Although they represented only 0.9% of social care organisations in England, they accounted for 82% of the overall outstanding rating in throughout England. The 265 social care organisations consistently rated inadequate and accounting for 32 or inadequate ratings throughout England are also ranked. Understanding and strengthening the relationship between local Health care Partners.